Women’s black slide sandals from Australian footwear label, Senso. 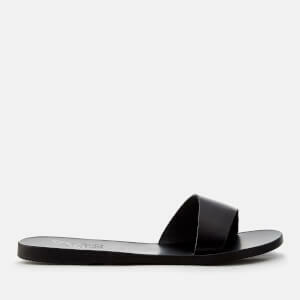 Crafted with a smooth black calf leather strap, the ‘Bec’ sandals are designed with a contrast white stripe across the strap. 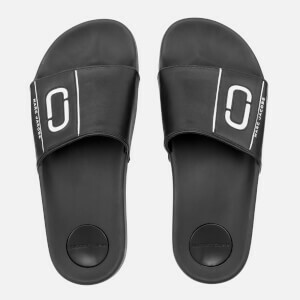 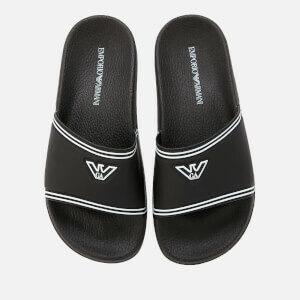 Set on a slim black leather sole, the sandals are finished with signature branding on the footbed and a rubber insert on the heel.